If there is one thing that most people overlook when starting to market their business online and that is developing killer content that is structured to take a person from an “interested” state of mind into a “buying” state of mind”. For this to happen you need to get rid of that damn Sales Monkey! Arrrrrrgh! This is dull marketing fuel that the Sales Monkey loves and the pesky little mammal is stopping you from getting the sales that you need to be a success. The number one marketing skill you should really develop as a solo-fitness entrepreneur is the ability to develop compelling content. Selling fitness can be really tough as you have to battle with a lot of “baggage” before someone is actually ready to commit to you. So, I am going to show you my 10-step formula in how to develop sales copy which will turn prospects into clients and kicks the Sales Monkey in the nuts. Good sales copy isn’t created at a whim, it is created scientifically. Meaning there is a logic, a system, a process and a formula which you have to go through. Good sales copy isn’t created at a whim, it is created scientifically. Meaning there is a logic, a system, a process and a formula which you have to go through. Here’s my tried and tested 10 step formula for compelling sales copy and getting rid of the Sales Monkey. This is where you need to get creative people. You need to grab people’s attention with a great headline that will appeal and attract more of your ideal clients. If you have a weak headline then you have a weak sales ledger. People are more motivated by the fear of loss than they are by the opportunity to gain something. This is because they have this stupid Monkey on their back holding them back from what they want. (Why do you think there is all those shocking headlines in the papers – its got nothing to do with the story and all to do with selling). Do you think these are too tabloid for you? Well sorry guys it’s not what you think it’s all about the prospective client and the Sales Monkey thinks. That is why I always suggest split testing with my private clients, so we can be certain which headlines work and which ones really get to talk directly at the Monkey. As you work through this 10 step formula take yourself out of it and put yourself in the shoes of your clients and the strain they have living with a very annoying primate. This might sound cruel but this stuff works… you need to identify the problem, stir up the emotional pain and then agitate the scenario. This means you need to spell out the problem and convey how much worse it will get if not solved and you continue to listen to the Monkey. What could happen if this scenario goes unanswered? Cast their mind into the future and hit them on an emotional level. What are the implications if they continue on the path they are on? We need to make everyone realise that there is a problem and it’s something that needs to get fixed – straight away! Once you have identified the solution and unearthed the catastrophic consequences that are going to happen if gone unanswered, you then simply provide the solution. The solution is obviously your products and services which are specially designed to navigate all of the fears and barriers that stop them from doing it. Most of the time you don’t end up selling fitness but you sell…confidence, motivation, guidance, support, results, community, plan to success and to avoid all the “monkeying around”. We have now got your prospect on the ropes in a neutral corner. We have them emotionally attached to their problems and identifying that something needs to change. Now the burden can be lifted with your solution. The issue is, the little pest starts talking our prospect out of committing. We have to shut the sceptic monkey up! And quickly! Present that you are a person that can be trusted. Prove that your solution works. Tell them about the results you have with other people (just like them). Present that you are a person that can be trusted. Prove that your solution works. Tell them about the results you have with other people (just like them). Alternatively top trump that and name the awards that you have won, mention that you were trained at NASA, or you are the personally appointed Royal physical trainer to the Queen. Now the sceptic Monkey has been silenced we need to kick him into touch. We need to get back to the client and how we can help them… Tell the client all the benefits that come with working with you. Whatever you do don’t talk about features. People don’t care what makes up your business (sorry) they care about what your business can do for them. It is always handy to make a list of the features you have and then beside each one note a list of benefits. If you sell bootcamp training; a feature maybe sandbags – a benefit is maximum calorie burnage. This is so important and becoming more critical for online sales everyday. Gather social proof! Get testimonials and reviews and then…. show them off! Supercharge your testimonials and reviews with getting it structured around the problems that you solve. Make sure you include people’s names, towns and occupations (or business name). Photos are great credibility-boosters and if you want to go whole hog smash into video testimonials. Embed these on your website, your profiles, your adverts and your listings. Once you have captured the attention of the reader, taken them to an emotional place, shut the sceptic monkey up and then proved the solution we now need to create some desire…. woooooh! The challenge is to develop a compelling offer which your reader just CANNOT ignore. We have worked so hard to take them on a journey we have to come up with a deal that makes it hard for them to say no… especially whilst the Monkey isn’t about! There’s that damn sceptic Monkey again… At this point readers will again start to question the deal. Not necessarily about you or the solution but the time and the money they are going to invest. If your readers are first time buyers, they hold the risk and the perception that your solution won’t help them. 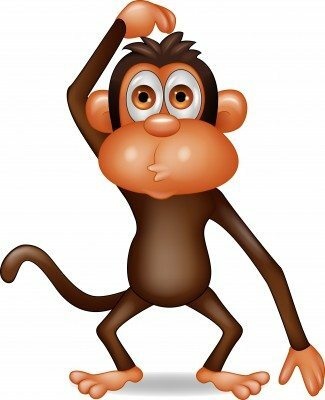 The sceptic Monkey starts beating a big drum at this point saying – No No No No Its too Risky! So you need to reserve the risk. As the business owner and solution provider you need to take the risk on board. This can typically be done with a money back guarantee, or my personal favourite “keep working with you until you have reached your goal”. You need to find a way to provide the product and service in a way which predictably gets results – You need to have confidence that your solution does what it is supposed to do and get rid of that sceptic Monkey once and for all. If your reader is going to say yes we just need one last nudge to push them into a buying state of mind. Introduce scarcity to encourage rapid action. This might be in the form of limiting what is on offer. Your reader needs to understand if rapid action isn’t taken then their opportunity to have their pain taken away and their problem solved will cost them and they will miss out. Reality is that if they say “I will do it later” that Monkey is back on them like a bad rash, beating his drum with a very smug smile on his face and annoying glint in his eye; and none of us want that! The final piece of the formula which helps you take a prospect and motivate them into a buying state of mind. Tell them exactly what to do next to get your offer. What they can expect to happen and how excited you are to be able to help them. Be very specific about what they should do and when and reinforce the reader about their decision by highlighting the benefits once again and give them confidence that they are making the right buying decision. Now you have the winning formula to turn your limp, predictable and non-effective sales copy into a business building mechanism that kicks the Sales Monkey in the nuts and which will help you attract more ideal clients, more regularly. There is now only one more thing to do…and that is to get your offers in front of as many people as possible. Go forth… get creative and get your offers out there. 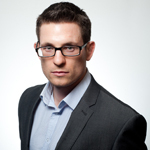 Scott Hodson is an award winning internet entrepreneur who works with health and fitness businesses all over the world. For more information on Scott’s products and services, visit: www.TrainTheNation.org. Scott also helps personal trainers connect with more people through his award winning site MatesRatesForFitness.com. If you’re looking for more clients the odds are they are looking for you too….on Mates Rates!